The Taipei city government has launched Taipei Telecare program since October 2010. The new service promotes the ideas of prevention, medical care, and long-term care. According to the city government’s data, there are over 328,000 senior citizens living in Taipei City. They account for 12.6 percent of the population in a city with 2.6 million inhabitants. Based on the definition of “aging society” determined the World Health Organization, Taipei fits the description because over 7.5 percent of its population are 65 years or older. To serve this growing group, Taipei Telecare combines the services and expertise of several agencies – Department of Health, Department of Social Welfare, Department of Information Technology, Legal Affairs Commission, Taipei City Hospital, and the 12 district health centers – to ensure a comfortable and safe living environment for the elderly. Employing technologies such as remote care, mobile applications, and location-based services (LBS), Taipei Telecare enables patients to keep track of their own vital signs (blood pressure, blood glucose, pulse rate, and more); it also allows the Telecare Call Center to monitor the health of subscribers, taking necessary steps when detecting abnormal readings. 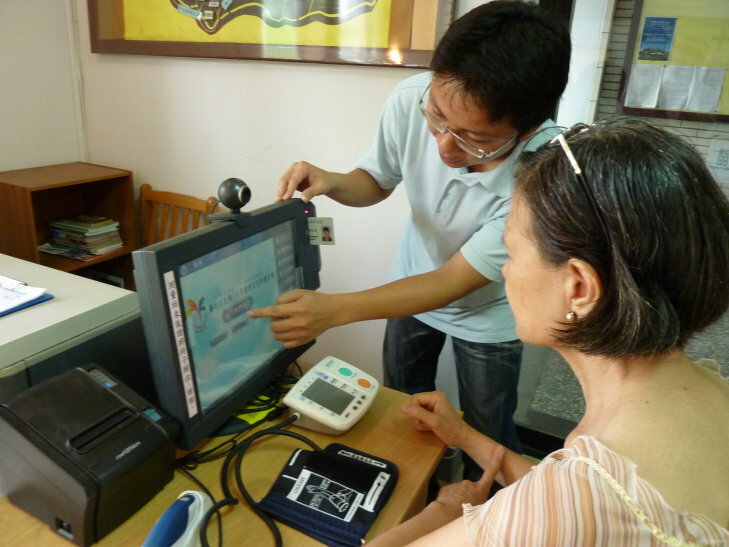 Since the trial stages till the end of 2010, Taipei Telecare has established over 450 long-distance healthcare stations and attracted over 6,679 subscribers. The City plans to expand the number of stations to 600 by the end of 2011 – covering 12 districts and 456 boroughs. Taipei City Government 1, City Hall Rd., Taipei, 110, Taiwan, R.O.C.